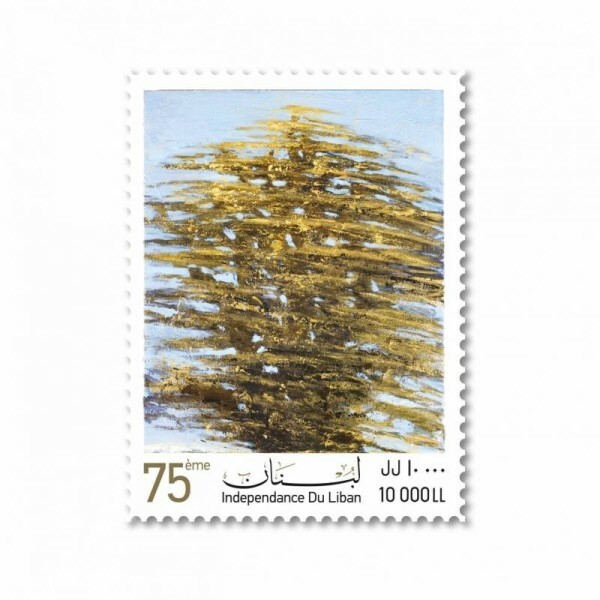 To mark Lebanon's 75th anniversary of independance, Nabil Nahas has been asked to create a stamp for Libapost, on which he chose to depict a Cedar Tree to reprensent the hope of the people of Lebanon. The stamp, which will travel on 100,000 letter and parcels, was unveiled at the Grand Serai under the patronage of Prime Minister-designated Saas Hariri. 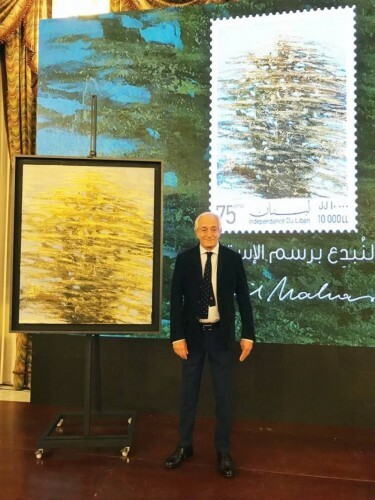 the original painting will be offered at an auction at Sursock Museum.